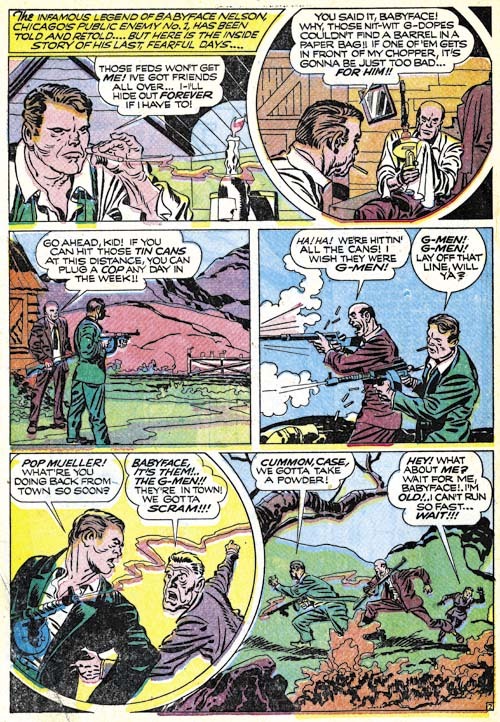 Simon and Kirby produced crime comics during two periods; for Prize and Hillman (1947 to 1951) and for their own publishing company Mainline (1954 to 1955). Perhaps the genre was already in decline but after the introduction of the Comic Code crime comics all but disappeared. 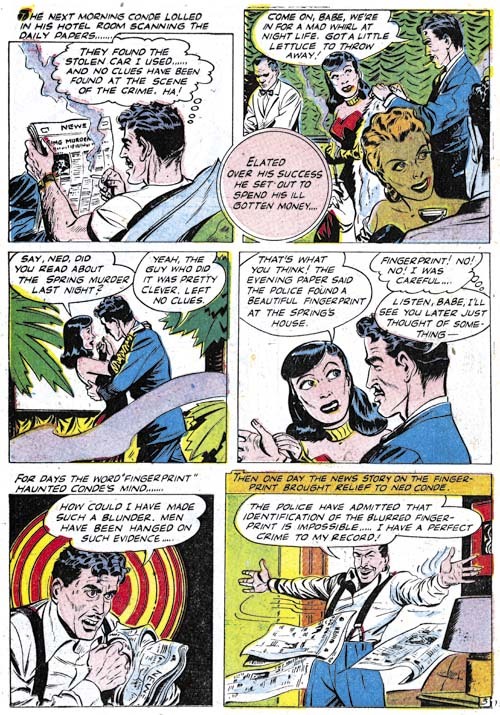 I know that Justice Traps the Guilty continued to be published until 1958, but were there any other crime comics that lasted long under the Comic Code? 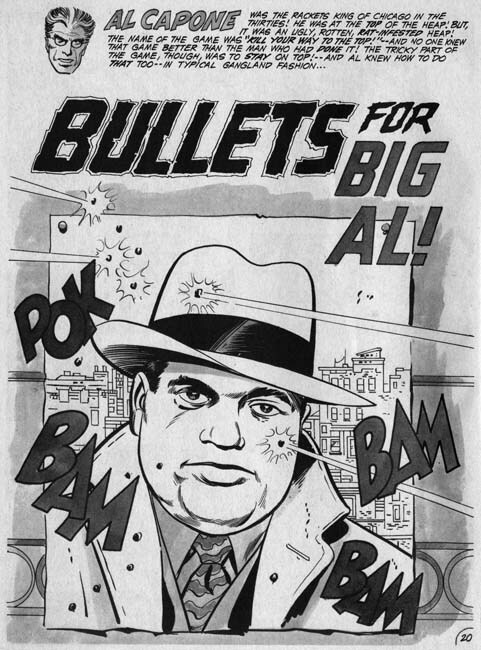 It would seem that crime was pretty much a forgotten comic genre until Jack Kirby did In the Days of the Mob for DC in 1971. Was In the Days of the Mob ahead of its time, another example of Kirby’s visionary genius? It, and the sister publication Spirit World, were very different than all the other comics released at the time. Different in size and printing. Not the normal comic book size but that of a magazine. And not the normal comic book coloring but all with tones of black. Mark Evanier, an assistant to Jack at that time, has said that it was Kirby’s idea to produce a more adult oriented comic. The magazine size therefore makes sense since it would allow the title to escape the Comic Code censorship. Which was clearly necessary if the stories were going to be anything stronger than the mild superhero comics that dominated the industry at that time. 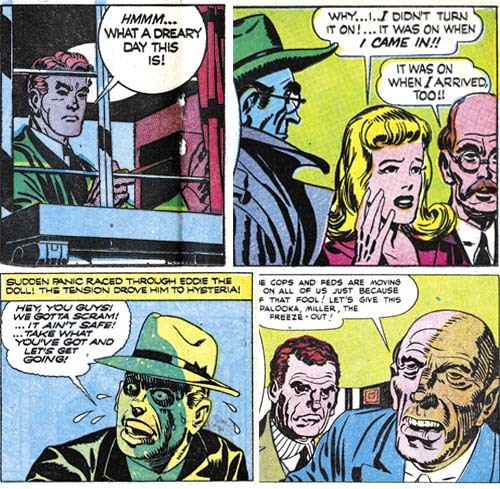 Evanier has also said that Kirby’s intentions were that In the Days of the Mob would be printed in color and that the gray wash that the magazine was subjected to was DC’s idea. It certainly seems like a visionary idea since In the Days of the Mob was years ahead of Heavy Metal (first appearing in 1977) another magazine size comic for a more adult audience. But what about the stories? Was Kirby looking at the future there as well? Right away the reader is presented with Warden Fry, warden of Hell. Fry will introduce the stories and provide a link between each. Using a character as a spokesperson for a comic had been done before but perhaps not always so well as In the Days of the Mob. The interior is largely one long graphic sequence. 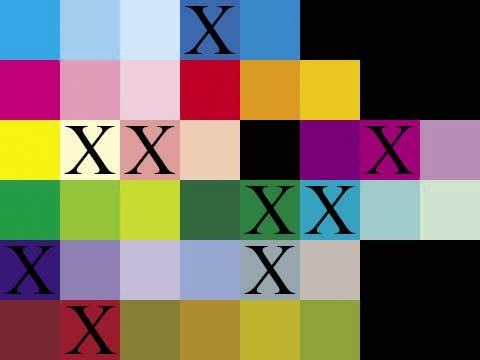 Page numbering is for the entire magazine and not for the individual stories. Only the splash pages give notice of the start of the next tale. This is a magazine meant to be read in the order that it is produced. 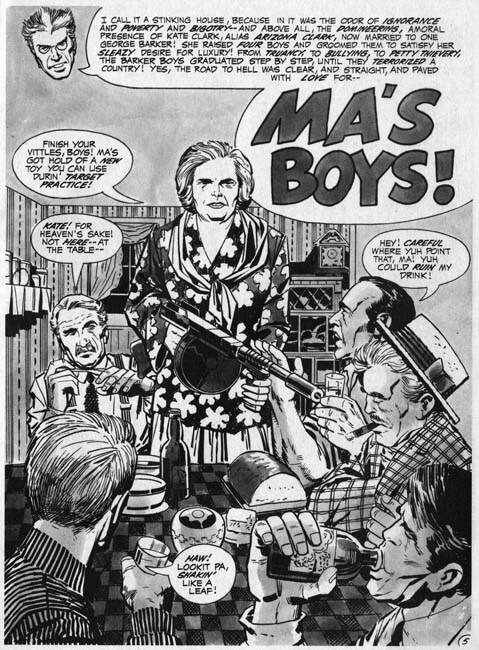 The first story is “Ma’s Boys” a tale of Ma Barker and her criminal sons. Jack had told this story before, or more accurately Simon and Kirby had. 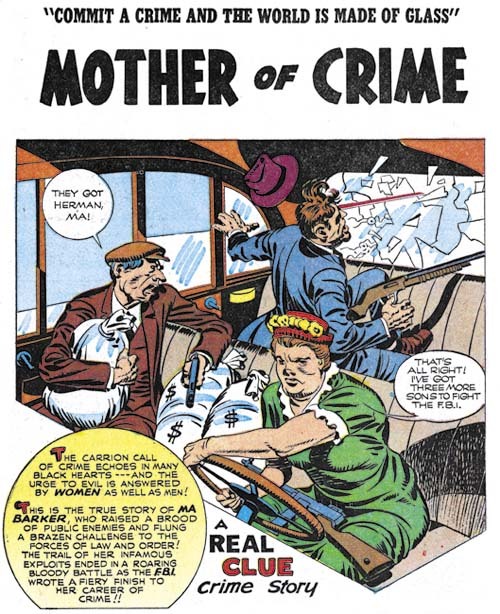 “Mother of Crime” had appeared in Real Clue Crime Stories (volume 2 number 4, June 1947). I have briefly discussed it before (Crime’s Better Half) and it was include in Titan’s “The Best of Simon and Kirby”. Since these stories are supposed to be real, it would not come as much of a surprise that there are similarities between the old and the newer versions of the story. But actually it is obvious that there is much more than a casual connection between the two because in the Simon and Kirby version Ma Barker relates her story from hell. Undoubtedly in 1971 Jack’s inspiration came from the Simon and Kirby story. He not only retold the story he expanded the use of hell from this single story to become a theme for the entire magazine. The story of Ma Barker as gang leader may have been fiction but one that did not originate from Simon and Kirby. 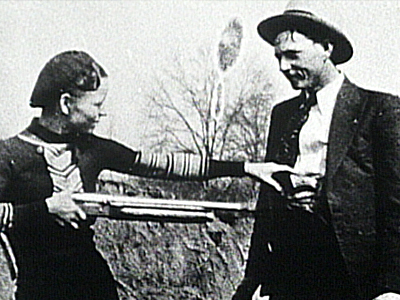 While Ma traveled with the gang, surviving members insisted she took no part in the planning or executing the crimes. They claimed that such matters were not even discussed in her presence. It was said that the story was fabricated to protect the public image of the FBI after it was found that they had killed an elderly mother. 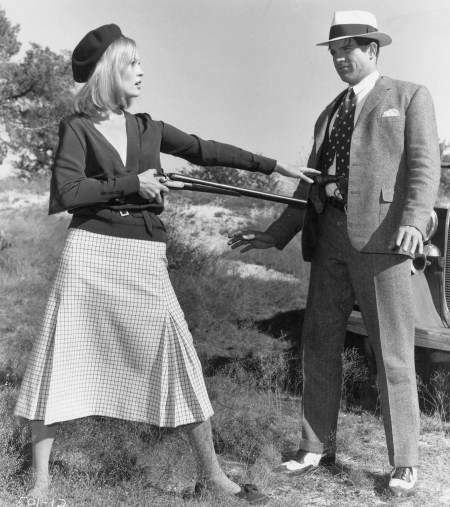 The next story from In the Days of the Mob is about Al Capone. 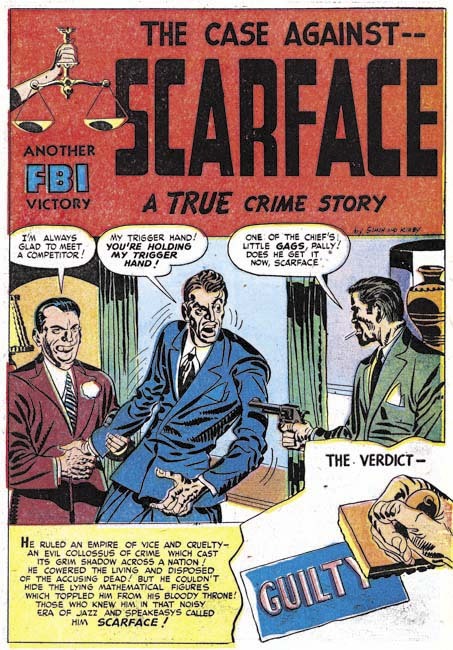 It turns out that Simon and Kirby had done a story about Capone as well called “The Case Against Scarface” (Justice Traps the Guilty #1, October 1947). However the story that Jack did for In the Days of the Mob is not the same one covered by Simon and Kirby. So while the older story might have gotten his creative juices flowing, Jack ended up with an entire new tale. 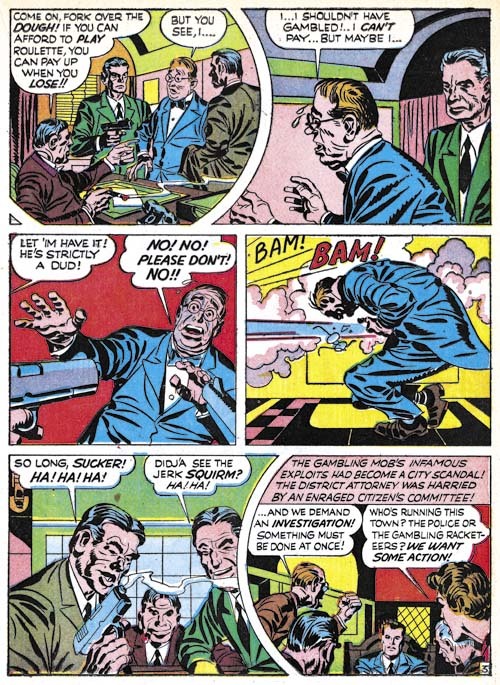 By the way “The Case Against Scarface” also appears in “The Best of Simon and Kirby”. 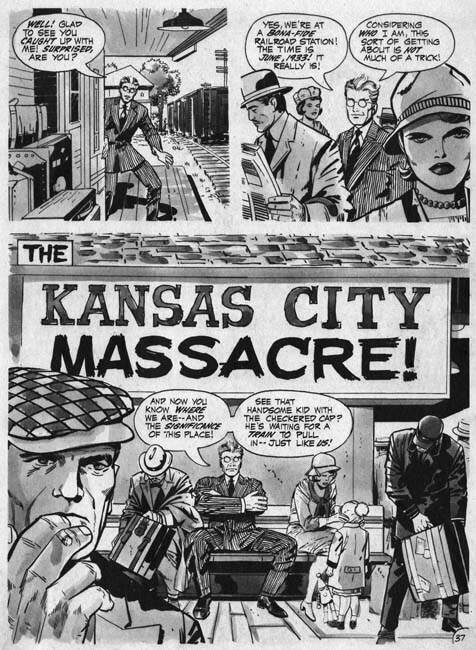 The third story, “The Kansas City Massacre”, was also one covered by Simon and Kirby (“The Strange Aftermath of the Kansas City Massacre”, Headline #26, September 1947). 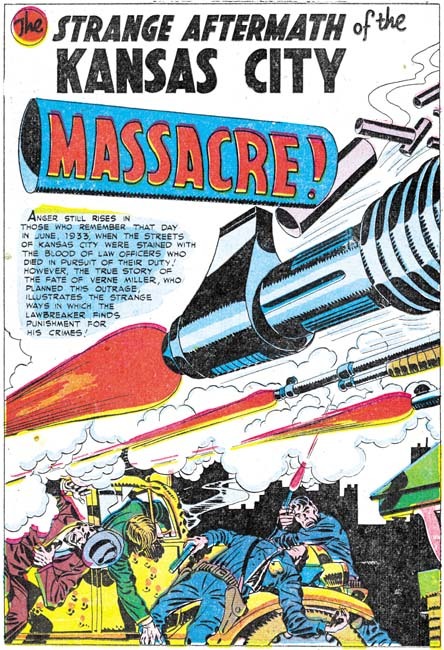 Solo Kirby concentrated on the massacre itself while Simon and Kirby covered that and also the events that followed. Kirby’s later version went in more detail than what was done earlier by Simon and Kirby but basically it is the same story. 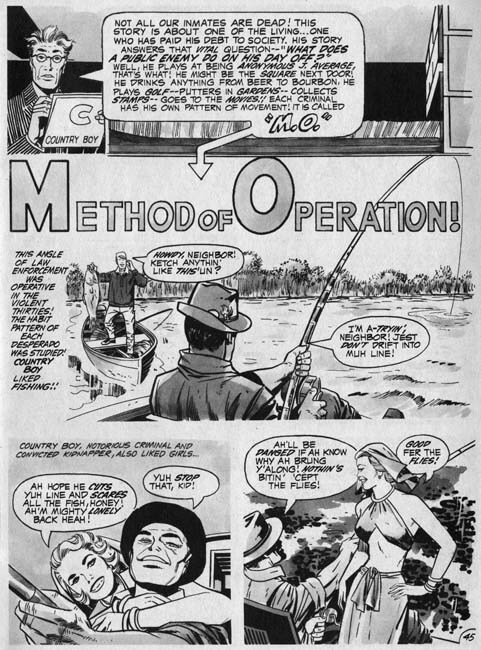 The final story that Kirby did for In the Days of the Mob was an unusual one called “Method of Operation”. The story is about a gangster whose fondness for fishing leads to his arrest by the head of the FBI, J. Edgar Hoover himself. The oddest thing about the story is Jack refers to the criminal as “country boy” and nowhere does Kirby actually identify him. However there is no doubt that country boy was Alvin Karpis. 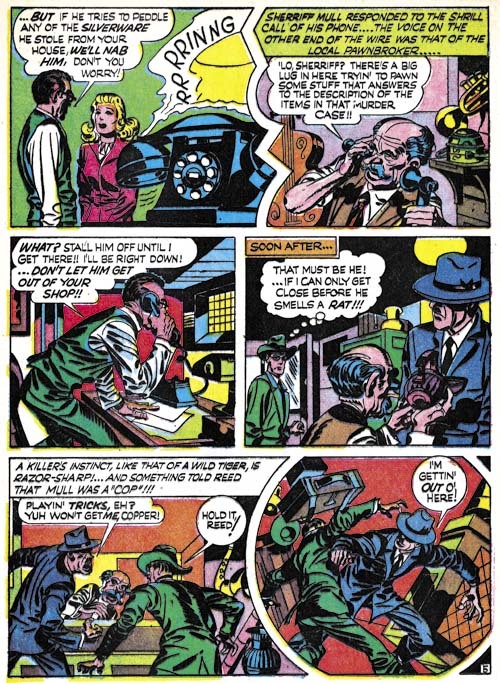 By this point it should come as no surprise that Simon and Kirby had previously done a story called “The True Life Story of Alvin Karpis” (Justice Traps the Guilty #2, December 1947). 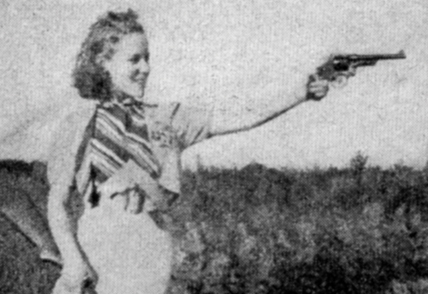 The official story is that J. Edgar Hoover did in fact arrest Karpis, grabbing Karpis before he was able to get a rifle from the back seat. However Karpis claimed that Hoover never appeared until the FBI agents already had him safely in custody. However the fact that the car Karpis was driving did not have a back seat certainly casts doubt on the FBI version of the story. Of course this awkward detail never made it into either the Simon and Kirby or the solo Kirby stories. It seems clear that with In the Days of the Mob Jack Kirby was looking back to when he was collaborating with Joe Simon. This is not at all surprising. Kirby came to work for DC because he did not receive the credit he felt he deserved during his time at Marvel. Further Kirby was unhappy with the changes that Stan Lee would impose on some of his creations. Kirby sought and obtained from DC a greater control over what he produced. The sort of control he had while he was collaborating with Simon. So it was natural for Kirby to think about and use as inspiration some of the more successful Simon and Kirby efforts. That is not to say that In the Days of the Mob were just a repeat of the Simon and Kirby crime comics. 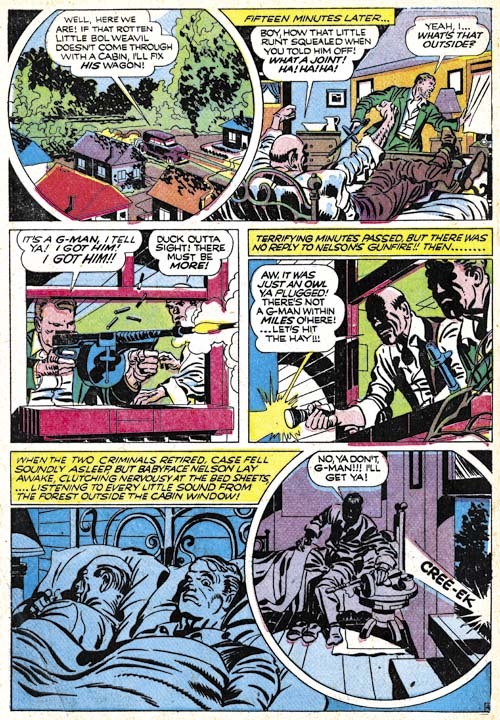 None of the specific text or imagery for Kirby’s crime magazine appears to have been lifted from the earlier Simon and Kirby efforts. Kirby completely redid the stories to fit his 70’s vision of how comics should be done. His art is full of impact. As for his writing, well let us just admit that his scripting was not, as still is not, universally admired. With In the Days of the Mob, Jack Kirby was both a visionary looking forward to a new market and a reactionary looking back on successful early creations. What Kirby was not, in this case, a man of his time. DC did not know what to do with Kirby’s new crime magazine and had no faith in it at all. 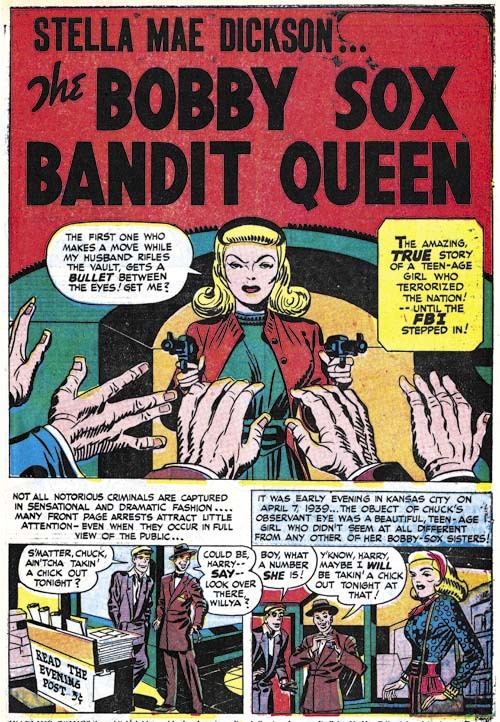 The title was cancelled before the second issue was ever printed. In closing I would like to add a note about the inking of In the Days of the Mob. Vince Colletta has been criticized, quite rightly in my opinion, for the liberties he took in erasing pencils in order to speed up inking. However Colletta’s inking in this title seems very solid and not at all overbearing. I like it very much. Which is more than I can say about the final ink wash used. Tom Field has written about In the Days of the Mob as well (Jack Kirby Collector #16). Also Bob has covered it in The Jack Kirby Comics Weblog. Captain America #4 (June 1941) “Ivan the Terrible” page 8, pencils by Jack Kirby. Not so long ago I posted Simon and Kirby Firsts. What I had to say about Simon and Kirby first was a work in progress and hoped that my readers would correct any mistakes that I made. Well diligent Marty Erhart met my challenge and pointed out that there was an earlier Simon and Kirby story splash then the two I had reported on. 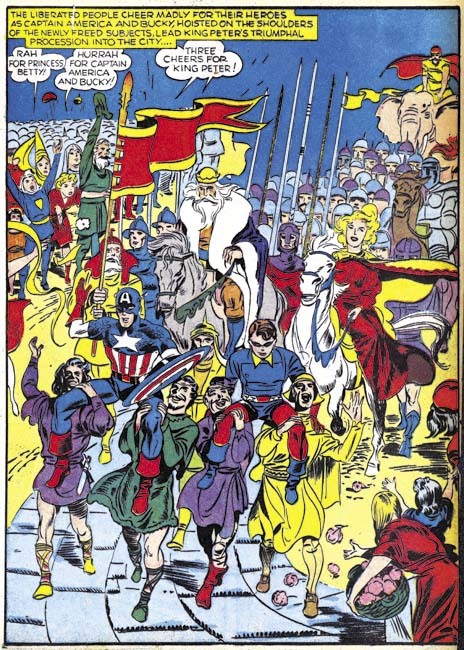 So “Ivan the Terrible” in Captain America #4 (June 1941) appears to be the first Simon and Kirby story spalsh. 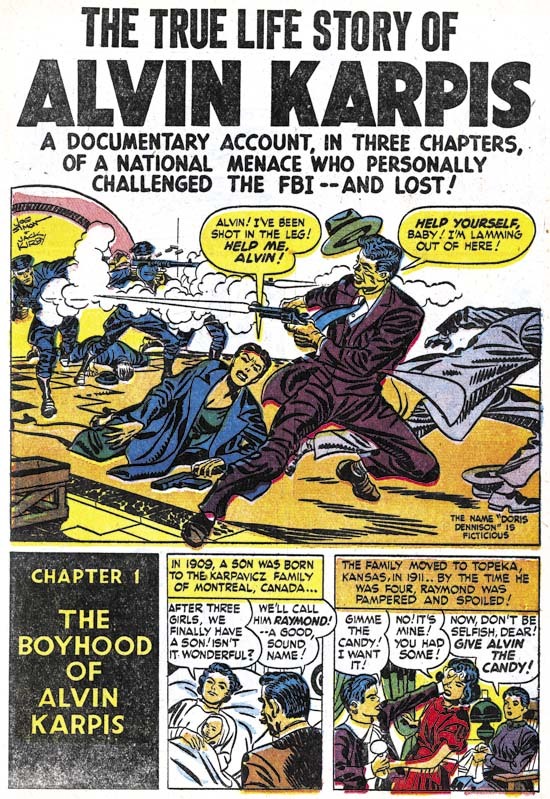 It had already been clear that Simon and Kirby were not the first to do a full page splash and in my previous post I reported the finding that the honor seem to go to Bob Kane and Jerry Robinson for a story from Detective #39 (May 1940). Well Marty beat that as well by pointing out that Siegal and Shuster had done a full page splash for a Slam Bradley story from Detective Comics #1 (March 1937). You can see it in Wikipedia. So kudos for Marty Erhart for his great work. In my previous post I had also remarked that Simon and Kirby were not the first artists to do a double page splash as I had remembered an earlier example from a Ka-Zar story in Marvel Mystery Comics. However I no longer remember which issue it was. Well sleuth Brian Cronin took my imprecise memory and nailed it down in Comic Book Legends Revealed #309. It was Marvel Mystery Comics #11 (September 1940) that had the Ka-Zar story in question. 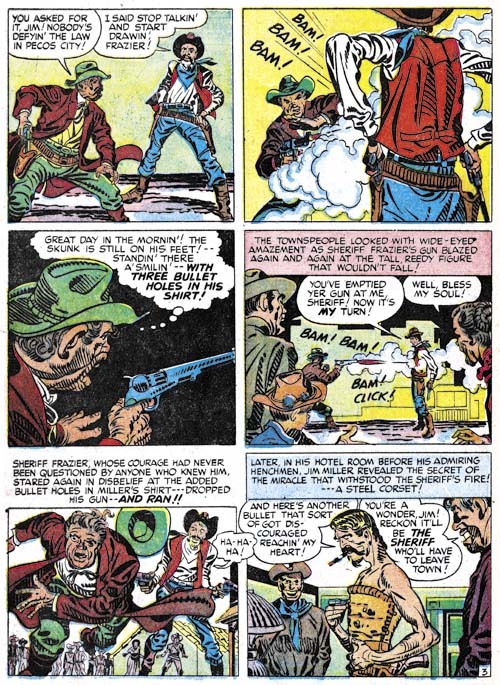 So Ben Thompson was the first comic book artist to do a double page splash a year before Simon and Kirby. But not only did Thompson do a wide splash his was also a story splash. So Thompson takes that first away from Simon and Kirby as well! As I have said before it was not the firsts that Simon and Kirby did that made them so important. It was how great they did everything and how influential they were to comic book history. But there do seem to be two firsts that Simon and Kirby still retain. They were the first to create a romance comic book (Young Romance #1 September 1947) and the first artists whose names were used on a cover to promote the comic (Adventure #80 November 1942, to be clear artist signatures do not count). Often when people discuss culture they are referring to things like the fine arts, classical music, opera and other “superior” arts. While culture encompasses all those things it includes much more. Art forms such as popular music and even comic books are part of our culture. All humans have a culture of some form. But do not ask me for a definition of what the term means as no one has been able to provide an accurate one. Since having a culture is so characteristic of humans many have tried to define it in such a way as to exclude it from animals. However they have been completely unsuccessful. Animals like the chimpanzee have a culture, albeit of a somewhat primitive nature. I may not be able to provide a definition of culture but teaching and learning are important features in the transmission of culture. Our culture, all others as well, is descended from the culture of previous generations. However culture is not only passed on it evolves as well. Certain cultures from the past have had great influence on us while others have been forgotten. One culture that had great importance to ours despite the great separation in time is that of the classical Greeks. Politics is part of culture and it was in ancient Greece where democracy was first born. The influence of the classical Greeks can be found in the visual arts as well despite the separation of about 2500 years. The classical Greeks developed an art based idealistic but realistic portrayal of the human figure. Their cities were filled with such art for both political and religious purposes (although at the time there was not much of a distinction between the two). The figures were idealized not only in form but in the emotion portrayed as well. The figures have a calm, almost serene, disposition and extremes in emotions or motion were generally avoided. About the time of Alexander the Great, classical Greek art evolved into what is usually referred to as Hellenistic art. Unusual subjects and posses became common. The human figure no longer adhered to the classical standards and became more expressive. Pathos became more often depicted in art. While cultures often developed from particular regions, their continued existence was by no means limited to that of some ethnical group. Eventually the ancient Greeks succumbed to the military might of Imperial Rome. But this did not mean the end to the centuries long tradition of Greek art. The Roman world recognized the importance of Greece and added portions of it to its own culture. This was a backhanded compliment because many of Greek’s art treasures were looted and sent to Rome. The Riace bronze statue illustrated above were found off the coast of Italy was most likely loot from Greece aboard a ship that sank on its final voyage. There are many whose fame is not preserved. In some cases the glory of the finest works is obscured by the number of artists, since no one of them can monopolize the credit, nor can the names of more than one be handed down. This is the case with the Laocoon, which stands in the palace of the Emperor Titus, a work to be preferred to all that the arts of painting and sculpture have produced. Out of one block of stone the consummate artists, Hagesandros, Polydorus and Athenodoros of Rhodes made, after careful planning, Laocoon and his sons, and the snakes marvelously entwined about them. Ancient descriptions such as these were more a reminder of how much had been lost and not very useful in understanding what the art really looked like. The story of Laocoon and his sons the sculpture depicted was based a story from the Trojan Wars. Laocoon was a Trojan priest who tried to warn his fellow Trojans to “beware of Greeks bearing gifts”. The gods sent a serpent to kill him and his two sons. (On a side note, Pliny the Elder died while trying to investigate the eruption of Mount Vesuvius during which Pompeii and other nearby communities were entombed). Time passed and Europe eventually started to recover from the Dark Ages. This period has been referred to the Renaissance, the rebirth. Progress in the arts came from new discoveries but also by rediscovering the ancient cultures of Rome and Greece. Unearthed ancient sculpture were treated as treasures and carefully studied. The Laocoon sculpture described by Pliny was rediscovered on January 14, 1506. This was a sensation with artists and scholars because the statue was immediately identified as the one written about by Pliny. 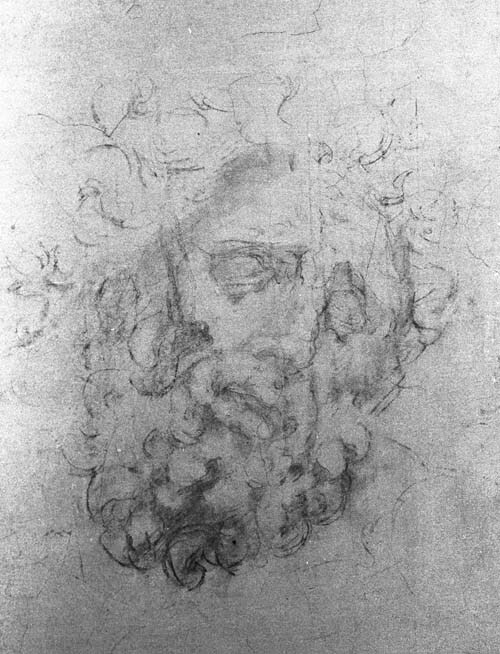 One of the artists who visited the excavation on the very first day of the discovery was Michelangelo, one of the foremost artists of the Renaissance. 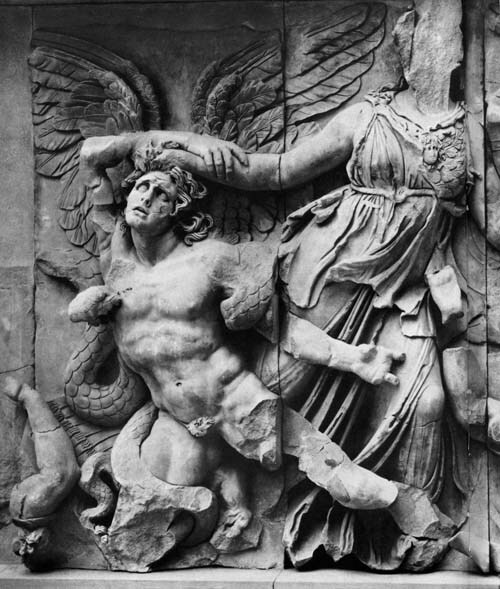 As originally found the sculpture was missing Laocoon’s right arm. There arose a dispute on how the sculpture should be restored. Today it would almost certainly be left as found but in those days missing parts would often be fabricated so that the sculpture would appear unblemished. Michelangelo declared that the missing arm was originally bent. However there was a bitter rivalry between Michelangelo and another sculptor by the name of Bandinelli. Now I suspect that most of my readers are familiar with the name of Michelangelo but do not feel bad if you do not recollect Bandinelli. Both may have been well known in their day but today Bandinelli is generally known only by art historians. 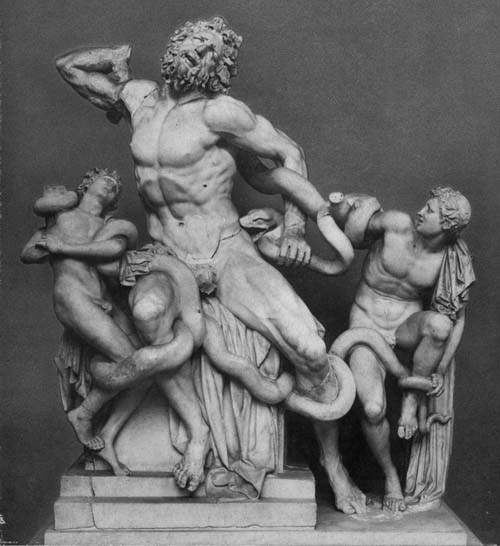 Bandinelli declared that the Laocoon’s arm should be restored straight. Surprisingly it was Bandinelli’s interpretation that was used for the restoration. Michelangelo had spent time dissecting corpses to develop a thorough understanding of human anatomy so you would think that what he said would have carried more weight. But Michelangelo had more commissions than he could handle (actually more than he could every finish) so perhaps he simply was too buy to assist in the restoration of the Laocoon sculpture. But Michelangelo would posthumously have the last laugh. Sometime about 1963 the original arm from the Laocoon sculpture was rediscovered and just as Michelangelo had predicted it was bent. The image of the Laocoon that I provided above has the original arm reattached. 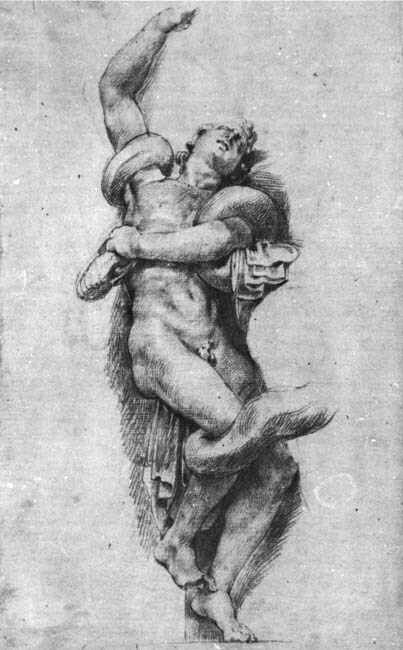 The effect of the Laocoon continued after Michelangelo as well. It was an important influenced on Baroque art and its leading artist, Peter Paul Rubens. The ancient sculpture was less important to the art periods that followed but it was never forgotten. At least by those who studied art history. Action Comics #80 (January 1945) “The Pillage of the Parthenon”, pencils by Mort Meskin. One of those who had not forgotten about the ancient Laocoon piece of art was Mort Meskin. 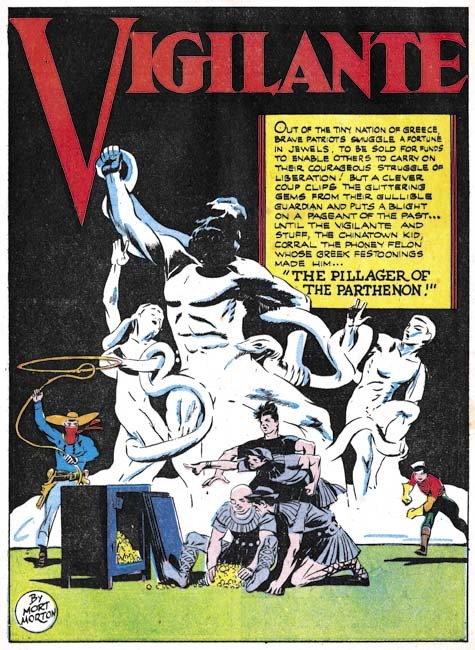 Mort did a magnificent rendition of it in the splash for the Vigilante story “The Pillage of the Parthenon”. The Greek sculpture does not appear elsewhere and the story has only a tenuous connection to the Parthenon or any other aspect of ancient Greek culture. That Meskin would depict the Laocoon in a piece of comic book art expected to be read by juveniles would certainly have been for his own satisfaction. He could not expect his audience to recognize it. I suspect the only piece of ancient art that has achieved the status of an icon with the general public is the Venus de Milo. A contrast can be made between Meskin and another great comic book artist, Jack Kirby. Kirby included sculpture in some of his comic book work. But while Kirby’s depictions of sculpture are quite interesting and well done they are completely derived from his own imagination. 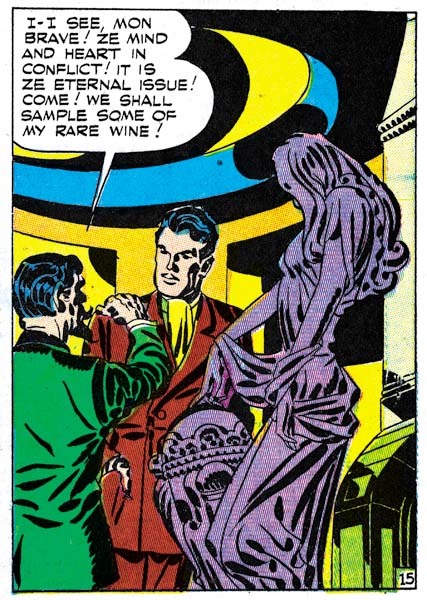 It is clear that unlike Meskin, Kirby had not spent much time studying art history and the ancient Greek culture.